The Art Gallery of New South Wales is the leading museum of art in New South Wales and Sydney, and one of Australia's foremost cultural institutions. It holds significant collections of Australian, European and Asian art, and presents nearly forty exhibitions annually. 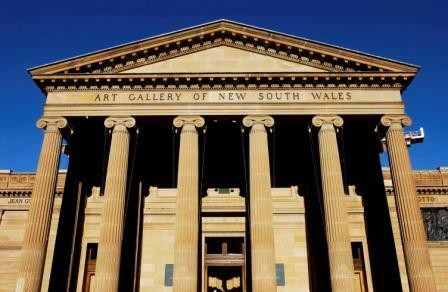 One of the most popular art museums in Australia, visited by over 1.3 million people annually, the Gallery is far more than just a destination for looking at pictures. It’s also a place to enjoy lectures and symposia, films, music and performances, meet friends for a meal or coffee in the cafe or restaurant, or browse in the Gallery Shop. Our range of access programs is aimed at engaging diverse audiences with different needs. And more than 100 000 students visit each year to take part in our engaging and stimulating education programs. 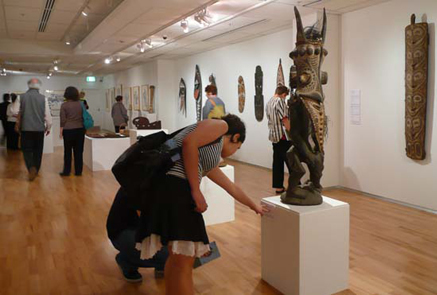 The Katherine Art Gallery holds an excellent collection of Aboriginal Art. 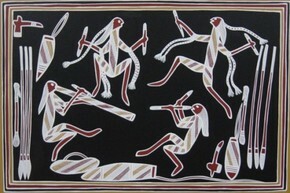 Presenting a portfolio of artists from the region, the gallery reflects the cultural diversity and influences of the Jawoyn, Warlpiri and Dagoman Aboriginal people, who have lived in the Katherine area for thousands of years. The gallery also houses a range of collections from regions of Arnhem Land, the Central Western Desert, and areas in Western Australia. Clients from all over the world maintain contact with the gallery to purchase the didjeridus, artefacts and paintings from the friendly characters who come to produce their work on the premises. Get outdoors and discover Australia’s living desert. Explore the abundance of plants, animals and Aboriginal culture found in Central Australia at the Alice Springs Desert Park. After experiencing the Desert Park you will no longer think of deserts as empty barren wastelands but understanding that they are diverse environments, rich with life and full of thousands of stories waiting to be explored. Explore three desert habitats, witness free-flying bird presentations, see rare and endangered animals, enjoy a cinematic journey on the evolution of Central Australian deserts and visit the new West Macs Discovery Centre. At night, explore the mystery and adventure of the Central Australian desert on a Nocturnal Tour. 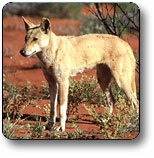 Spotlight endangered species in the Mulga Walk whilst learning from expert guides. 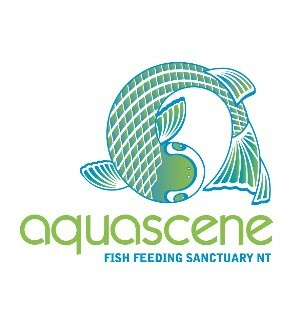 At the Territory Wildlife Park, not only do you see wildlife up-close in their natural habitats, you meet them walking through tree top aviaries, strolling around a natural lagoon and even get to interact with them during daily presentations.You stroll beneath the surface in our walk-through aquarium and meet some of the Top End’s most amazing aquatic life. You meet, nose to nose, with our giant Saltwater croc. It’s the closest you’ll ever get to a salty without risking a scratch! Our experienced team love sharing their knowledge of the wildlife and the habitats in their care. It’s what our people are passionate about. The more you ask, the happier they are to share. For 40 000 years this area has been a traditional "meeting place" for the trading of artifacts, knowledge, art and culture. You can now experience our vibrant living culture today at our unique centre. All of these tours are Aboriginal owned and operated, so authenticity is guaranteed. Our award winning tour operation is a fully owned and operated Aboriginal enterprise established by Pwerte Marnte Marnte Aboriginal Corporation, a Southern Arrernte Tribal group. It is a unique opportunity for you to share in our culture. At Doctors Gully, right in the heart of Darwin and within walking distance of most city hotels is a unique attraction which has been featured in countless television programs and magazine articles world wide and voted "most popular attraction" in tourism surveys. AQUASCENE is where hundreds of fish come to shore at high tide to be fed by hand. Milkfish, mullet, catfish, bream and barramundi can be seen close enough to touch as they compete with each other for food. Many other species including rays, cod, mangrove jack and diamond fish may also be seen in the shallows if you watch carefully. CLICK HERE to see website for opening times. Founded in 1881, the Art Gallery of South Australia is home to one of Australia's great art collections, housed in one of Adelaide's most beautiful buildings. Located at the heart of Adelaide's cultural boulevard, North Terrace, between the South Australian Museum and University of Adelaide, the Art Gallery welcomes more than half a million visitors each year. We hope you will enjoy your visit - whether real, or virtual. The Art Gallery is open daily 10 am to 5 pm (closed 25 December). General admission to the Art Gallery is free. Charges apply for some exhibitions. 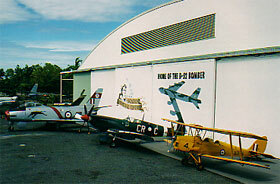 The Australian Aviation Heritage Centre is one of the major aviation museums in Australia. The Centre has an impressive presentation of aircraft and displays depicting the Territory’s involvement in aviation, both civil and military, from the early pioneers and record breakers through World War II and the jet age. The major display item is a massive B-52 bomber on permanent loan from the United States Air Force and is one of only two on public display in the world outside the USA. 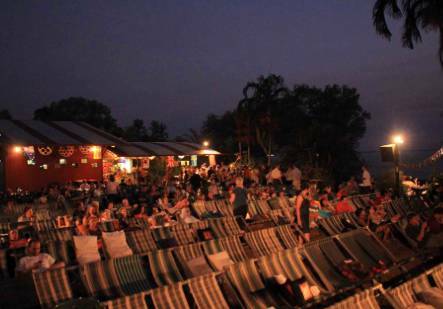 CROCODYLUS PARK is located just 5 minutes from Darwin International Airport and 15 minutes from Darwin’s city centre. Built upon 30 years of experience in crocodile research and conservation, the Park hosts over 10,000 crocodiles from 30cm long hatchlings to massive adults measuring 5m and weighing half a ton! The Park also includes big cats, primates, giant lizards, snakes, native animals and a World class Crocodile Museum. The boardwalk over the crocodile exhibits is fully shaded to walk along while our experienced tour guides provide fascinating facts about animal biology, behaviour and crocodile attacks. Don\'t forget! All visitors get a chance to hold a baby crocodile and even feed a 5m crocodile. See Australia’s highest court of appeal in a striking building by Lake Burley Griffin that features a seven storey high public hall. The High Court features three courtrooms and an impressive public hall adorned by murals depicting the development of the Australian nation and its Constitution. Interpreting and upholding the Constitution is one of the important functions of the High Court, together with interpreting federal law and hearing cases appealed from other courts. High Court sittings are open to the public. 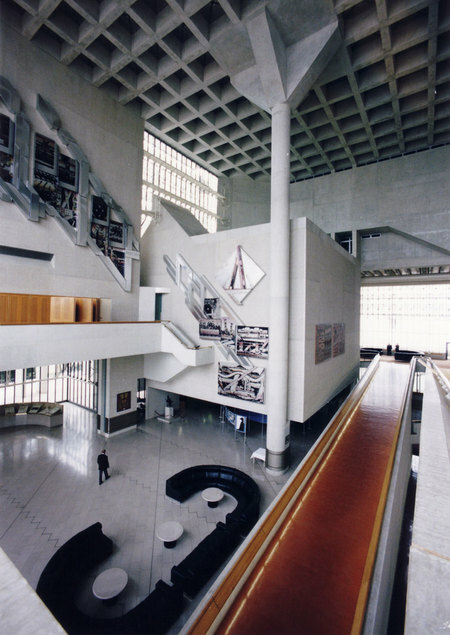 The building was opened in 1980 and was the result of a national architectural competition. 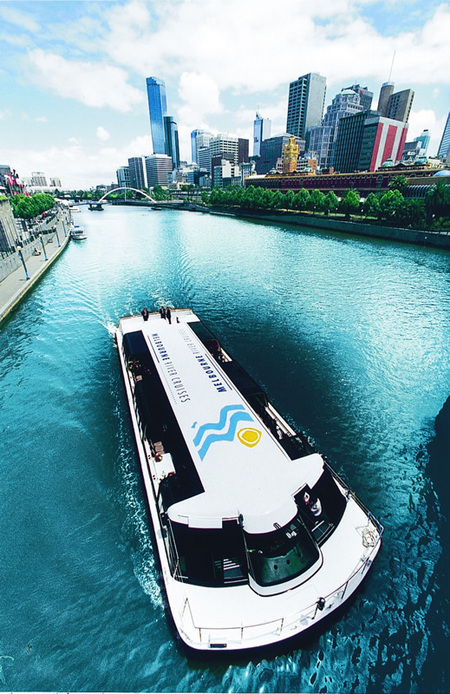 With over 25 year’s experience, Melbourne River Cruises is the largest and most experienced river cruise operator in Melbourne specialising in tourism and hospitality. As industry leaders, we aim to create international service systems to provide entertainment, recreation, culture and social exchange for local, interstate and international individuals and groups. We are in the business of providing memorable experiences and are committed to fulfilling customer needs and satisfaction. Whether you choose to join our daily sightseeing cruises or to have a private function, our team will extend warm, friendly and professional hospitality to enhance the customer experience. If you are visiting Darwin during the winter dry season, be one of the first to experience Oz Jet NT, Oz Jet Boating\'s new experience in Darwin Harbour. Oz Jet Boating NT will have you experiencing Darwin at high speed, with massive sideway slides, fish tails, spins and awesome power break stops. It\'s extreme and loads of fun! Oz Jet NT is operating daily from Stokes Hill Wharf adjacent to the new convention centre, seconds from popular cafes & shops. Whether you are visiting Darwin or are a long time local, Oz Jet NT is a unique opportunity for you, your friends & family, your corporate group or social club to see Darwin like never before in thrilling high speed fashion. Sky dive over Penrith Lakes which is against the backdrop of The Blue Mountains and one of the most beautiful cities in the world, Sydney, NSW. Free courtesy bus for all TANDEM JUMPERS to the DROPZONE. 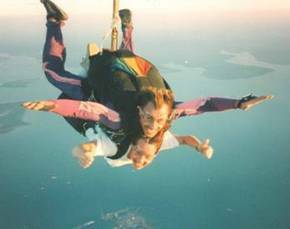 Our friendly professional staff will ensure your skydive is an adventure you will never forget. Simply Skydive\'s state of the art sigma equipment is the best in the world. Queen Victoria Market is Victoria's premier open-air market. Sitting on 2 city blocks, its also the largest open air Market in the Southern Hemisphere. The friendly competition between stallholders, their passion for that they do, and their interaction with customers is what gives the Market its Old World charm and the addictive power to draw millions of visitors each year. Visitors, who come not only to shop, can be entertained by buskers who perform on the surround. The vibrant, cosmopolitan atmosphere of this historic site has endeared the Market to Melburnians for over 130 years. 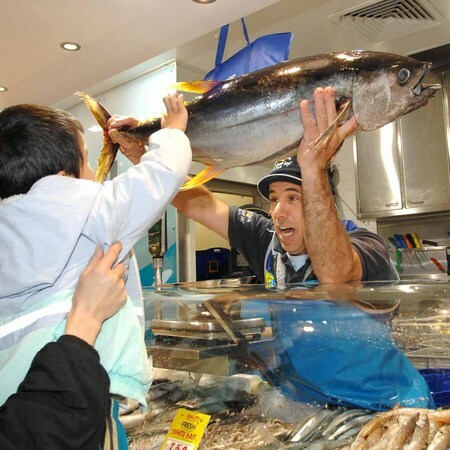 The Market is probably best known for its huge variety of fresh produce. Almost 50% of the Market area is dedicated to the sale of fresh produce, including fresh fruits and vegetables, meat, chicken, seafood and delicatessen products. 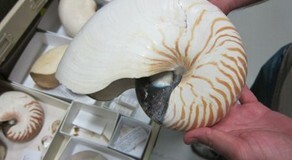 The Western Australian Museum provides an insight into Western Australias history and environment. Situated in Perths cultural precinct and close to public transport facilities, the Museum offers a wide range of permanent and travelling exhibitions. International exhibitions and MuseumLink displays and events enhance the Museums permanent displays. Absorb the atmosphere and enjoy the contemporary, historical and cultural exhibits. Experience the Swan River like never before with the thrills and excitement of an adrenalin pumping jet boat! After venturing out of the speed restricted zone we unleash the full power of the jet at nearly 80km/h, with a continual mix of 360 degree spins, wild fish tail spins and incredible power brake stops. Hold on tight as the fast pumping, continuous mix of music keeps your heart racing. Ride alongside Kings Park & the Old Swan Brewery. Sit back and hold on as we push the throttle and release 25 tonnes of water per minute from the jet!! Its extreme, its loud, and its loads of fun!! 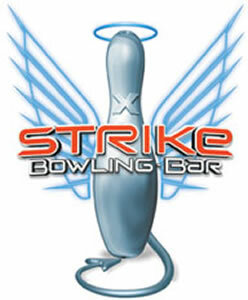 Strike redefines the fun and age old bowling experience for the 21st century; enjoying the gourmet food and cool chic environment is just part of the hypnotic Strike experience. Picture Private Bowling Lounges, giant lane-end plasmas, on-lane special effects lighting, computerised scoring, lane-side food and beverage service, deluxe karaoke rooms, pool tables, gourmet food and deluxe bars – and that’s just to start with! Whether it’s an impromptu night out, staff outing, client schmoozing or a Christmas party for 800 people, Strike’s focus on excellent service and building a fantastic atmosphere will guarantee you and your guests an unforgettable night. 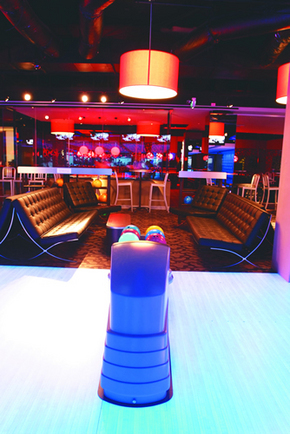 There’s no need to worry if bowling isn’t for everyone in the office, we also have deluxe bars and lounges, pool tables, karaoke rooms and interactive games. Strike Melbourne Central, located on level 3 of the Melbourne Central shopping centre, is one of the city’s best entertainment experiences. Strike Melbourne Central also has pool tables to release the inner shark, and on the weekends get on the dance floor with some of Melbourne’s best DJ’s. Plus with a 280 person capacity, Strike Melbourne Central is the perfect choice for functions - be it a corporate event, buck’s party, hen’s night or birthday parties. Get in touch with one of our dedicated team to help arrange your perfect night. Wheelchair Access: Advise reception upon arrival. Wheelchair customers to enter from door next to San Churro shop in QV. Access to lanes 1-4 & 9. Int Games, Pool & Karaoke. A magical and unique wildlife attraction open for both daytime and evening visitors. During the daytime meet kangaroos, koalas, dingoes, colourful parrots and waterbirds and a variety of reptiles and frogs. Photo opportunities are available with a koala, while on the wallaby walk kangaroos and wallabies come to feed from your hand. There is also a native bush food garden and bush food tasting is available. Come evenings, you can take part in an evening tours when friendly and active animals delight visitors. You will meet rarely seen quolls, bettongs and pademelons, owls and gliders, many only inches away, as well as kangaroos and koalas. A guide is on hand to give an informative and entertaining commentary. 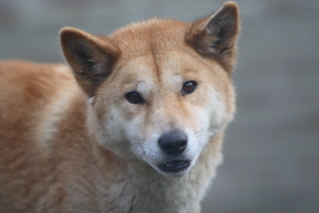 A truly different experience that Moonlit Sanctuary claim is the best way to see Australian animals. Moonlit Sanctuary has won awards for its conservation work and visitors get an insight into this. It is also fully accredited with the Eco-Tourism Association. Daytime visitors can turn up any time between 10am and 5pm. Evening tours, which operate most nights, must be booked. Visitors using the Mornington Peninsula Attractions Pass get free admission during the day, and can upgrade for an evening visit. Adelaide Zoo is home to over 1800 animals and almost 300 species of exotic and native mammals, birds, reptiles and fish exhibited in magnificent botanic surroundings. Immerse yourself in the rainforest habitat under the watchful gaze of a tiger, or marvel at the Australian Sealions in action during feeding time. 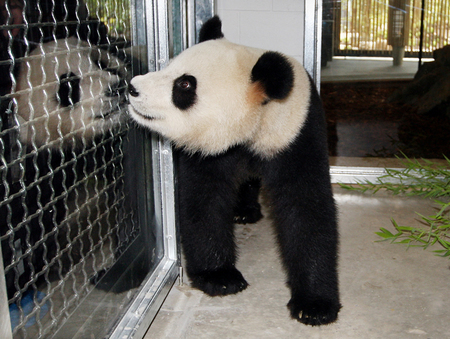 Visit Wang Wang and Funi, the only giant pandas in the southern hemisphere. Bookings are essential via the online booking system to secure your entry to Adelaide Zoo. The Flinders University City Gallery presents an annual exhibition program to promote engagement with the visual arts. Exhibitions feature Australian artists, Indigenous and non-Indigenous, and often draw on the nationally significant collections held by Flinders University at Bedford Park. High quality giftware sourced from remote Aboriginal communities is available in the City Gallery Shop. The South Bank Lifestyle Market is a hive of activity and a 'must-see experience in Brisbane. Every Friday evening, Saturday and Sunday, the South Bank Lifestyle Market features an exciting range of arts, craft, homewares, collectibles, exotic items, designer fashion and much more. The Markets are an ideal way to find a unique gift, or simply stroll through and enjoy the atmosphere. The Market is an excellent place to sample delicious treats, organic produce and homemade fare. Listen to our fabulous music and entertainment. With a calendar of special event markets there is always something new and different to discover. 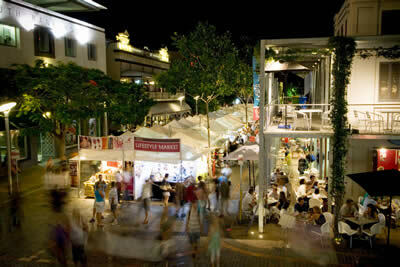 It’s the only 3 day market in Brisbane and our Moonlight Markets are a great choice on Friday evenings. Located in the heart of South Bank, Brisbane’s premier recreational and cultural destination. Combine your visit with an endless choice of other options. More shopping; cafes, restaurants and pubs; cinemas; parklands; museums; galleries; children’s’ activities; Streets beach and a weekly calendar of special events. From the bays and beaches of Sydney Harbour to the outback vastness of the Murray River basin, to the islands of Fiji, Captain Cook Cruises draws on over 39 years of cruising knowledge to create unique and exciting travel experiences. Captain Cook Cruises is a multi-award winning, family-owned, Australian ‘small ship’ cruise operator. Beginning with just one sightseeing cruise departure a week on Sydney Harbour, Captain Cook Cruises now offer passengers a wide variety of scheduled sightseeing, dining and accommodated cruises with over 150 departures weekly throughout Australia & Fiji, employs over 300 people and operates a fleet of 20 vessels, all of which are available for private charter. The IMAX Theatre Sydney in Darling Harbour uses the IMAX film system, which is the largest and most exciting film format in the world. With crystal clear images, ten times larger than the traditional cinema format the IMAX film experience draws you in with pictures so real you want to touch them, so powerful you can feel them. The giant film frames offer far greater resolution than 35mm film and all existing digital cinema projection systems (including IMAX Corporation's own digital multiplex cinema IMAX systems). The IMAX film experience takes an image rich in clarity and definition, throws it onto the world's biggest screen and wraps the viewer in digital surround sound. The theatre screens films in 2D and 3D for a truly breathtaking movie going experience. Alice Springs Reptile Centre opened in January 2000 and showcases Northern Territory reptiles. More than 100 reptiles of over thirty species are exhibitied indoors and outside in naturally landscaped surrounds. The sensational saltwater crocodile exhibit opened in 2002 offering a fantastic close-up view of this mighty predator providing an amazing photo opportunity. 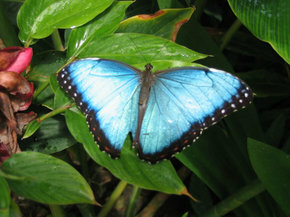 Come and see the unique World Butterfly Collection. The collection also includes a variety of Moths, Beetles, Spiders, Scorpions and insects from South East Asia. A collection for the enthusiast and curious alike. Kart track prices are 10 mins - $30, 15 mins - $40, 20 mins - $50, 30 mins - $65, 1 hour - $110. Group discounts 10 karts x ½ hour - $600 and 10 karts x 1 hour $1,000. 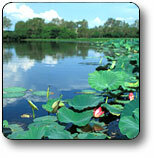 No matter which time of year you visit Kakadu, there is always something to see and do. You can visit the magnificent artworks of the rock shelters at Ubirr and Nourlangie, or tour the expansive wetlands which are home to a diverse range of birdlife and aquatic animals and crocodiles. In the dry season there are many walks in the park to satisfying all levels of fitness. Take time to relax and experience the sounds, smells and sights of this ancient land. A visit to Darwin is not complete without a visit to the world famous Katherine Gorge. Known by the aboriginal name Nitmiluk, a cruise through Katherine Gorge is just amazing. The Gorge is located in Nitmiluk National Park and is one of the most spectacular areas in the country, winding 12 km with walls more than 70m high. The 13 wonderful gorges of Nitmiluk National Park began 23 million years ago as torrents of water pouring along tiny cracks in the earth. The Uluru - Kata Tjuta National Park is jointly managed by the traditional land owners Anangu people and Parks Australia. It is a world heritage listed park featuring the world famous monolith Uluru (Ayers Rock) and Kata Tjuta (The Olgas). Get on board for a nature and adventure experience you’ll never forget. Our Kangaroo Island Adventure tour offers you the chance to experience the best the island has to offer with your own personal guide and a bit of ‘soft adventure’ thrown in! Accommodation, all meals and entry fees are included. 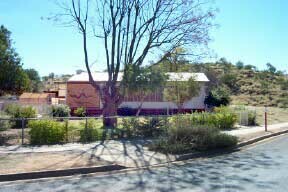 Accommodation is based on dorm share upgrade to ensuite rooms available. Ayers House is a prime example of colonial architecture and contains many important decorative features. Of major interest are the ornate painted finishes and examples of trompe l\'oeil on the walls and ceilings of all rooms, the large reception rooms designed for entertaining and the external symmetry of the house with its two matching bow windows. 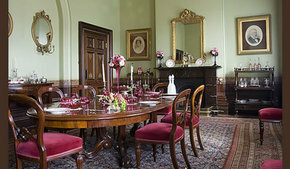 Today, Ayers House Museum is managed by the National Trust of South Australia. It houses a large collection of antique furniture, silver, paintings and costume, mostly dating from the nineteenth century, and corresponding to the period of Henry Ayers\' occupancy of the house. Disabled facilities are ground floor access only. 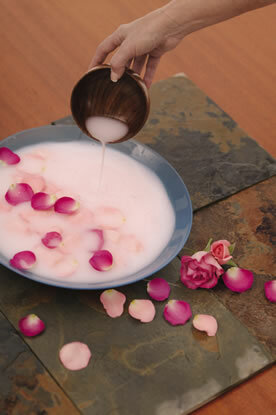 Ayurve Day Spa is a hidden oasis located at the Heart of the CBD. Is has reputation for being one of the leading spas in Sydney and prides itself on providing a complete range of holistic treatments using Ayurvedic skin care and body care, as well as Dermalogica being one of our leading skin care ranges. We understand here at Ayurve Day Spa how busy and stressful one’s life can be so we are happy to provide you with a little piece of TLC, to keep you feeling rejuvenated and up on your feet. Ayurve also prides itself on its extensive treatment list ranging from Manicures and Pedicures right through to Anti-wrinkle injections, Laser for Men and Women and Medical Grade Peels. Our staff come highly skilled and trained and will provide you with an professional well educated experience. Whether you can escape for an hour, an afternoon or an entire day - a quick manicure, a soothing facial or an indulgent spa package - you will be wrapped in luxury and comfort, individual attention and professional expertise. Tucked away from the hustle of inner-city Sydney is THASPA, an intimate beauty salon designed by an expert team of therapists especially for busy working women and men. Looking and feeling your absolute best doesn\\'t just revolve around your face. THASPA delivers quality for your entire body. Treat your body through a combination of products that are enriched with vitamins and essential oils with traditional healing techniques to address a wide range of conditions and needs. Over the past 30 years, Sydney Opera House has worked to produce and present some of the finest national and international artists. Opera Australia has enriched our cultural life with exceptional opera over the past fifty years. 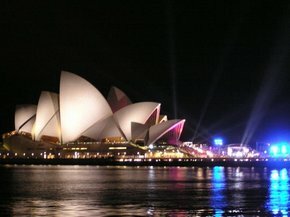 One of the world’s finest orchestras, Sydney Symphony gives more than 100 performances each year at Sydney Opera House. Sydney Theatre Company produces theatre of the highest standard that consistently illuminates, entertains and challenges. One of Australia’s flagship arts companies and one of the busiest ballet companies in the world. Every year this internationally renowned ensemble presents rousing performances to audiences around the world. Experience what Sydney Harbour Jet Boating is all about! Come along and hop onto Sydney's FASTEST Jet Boat adventure! Get ready to hold on tight in your custom bucket seats as the Thunder opens up on Sydney Harbour!!! The 'Thunder Jet' Sydney Jet Boat will take you past the Opera House, Harbour Islands, and the exclusive suburbs of Rose Bay, Watson’s Bay. Then onto Sydney Heads for a taste of ocean air! On return we’ll take you past Taronga Zoo and under the Harbour Bridge, by Luna Park Sydney. With Amazing Stunts and Incredible Spins through Sydney Harbour, the Thunder Jet will be an unforgetable experience! Get set for slides, twists, spins, power brake stops, sweeping fishtails and some really wild wave riding in the best jet boats in Sydney! Why not try Sydney Harbour's only EXTREME ADRENALIN Jet boating ride! 45 minutes full of thrills and spills and so much more! 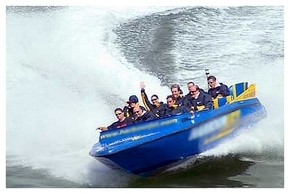 The crew at Thunder Jet Boat Sydney -- providing you with a wet and wild ride! Ripple is a personalised, friendly and professional massage service that comes to you in your accommodation or home in the Tamborine, Brisbane, Sunshine Coast, Byron Bay and Gold Coast regions. We offer a wide range of styles of massage and beauty therapies with all the little extras that can turn a good massage into a great one. From Hot Stone, Russian, Deep Tissue and relaxing Frangipani and Blokes massages to massages for couples, girl pamper days, hens parties, men and women ... there is something here for everyone. Full beauty services are also available including manicures, pedicures, facials, beauty packages and spray tans. 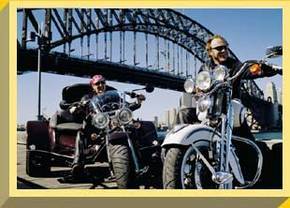 Sydney\\'s largest motorcycle touring company using HARLEY-DAVIDSON® motorcycles: this is the ultimate experience! Established in 1992, Easyrider tours is based at the centre of Sydney\\'s tour attractions - the excellent Rocks Market, which is located directly beside The Harbour Bridge and just across from the Opera House. Easyrider has tours starting from the 15 minutes Rocks Rumble or Harbour Bridge Blitz - right through to our 2-Day Nundle Express outback adventure. An executive charter boat, provides a prestigious and exclusive venue for the entertainment of valued clients, family and friends; hosting corporate events, conferences and meetings; product launches or for end of year Christmas activities. Our comprehensive fleet of charter boats offers an outstanding selection of the best super yachts, catamarans and sailing vessels available for private boat hire. Sydney Harbour is amongst the favourite Sydney attractions and a sight-seeing lunch cruise or sunset dinner cruise under the harbour bridge, past the Opera house and magnificent foreshore homes is a ‘must do experience’ for boating connoisseurs and land-lovers alike. Prestige cruises offers a choice of scheduled Sydney harbour cruises and sightseeing tours which you and your guests can join for special celebrations or entertaining visiting clients, friends and family. Rhythmboat & Sydney Harbour Cruises - Sydney Harbours Entertainment Cruise Specialist. 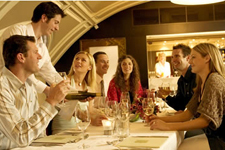 On-Line prices from $69p/p Specialists in Sydney Harbour Cruises, Darling Harbour Lunch Cruises & Dinner Cruises, Weekly Lunch & Dinner Cruises. 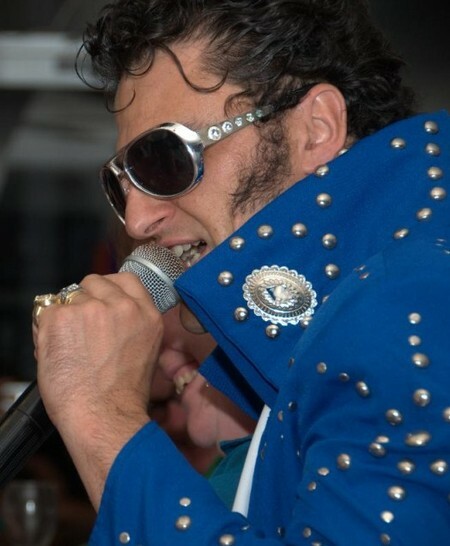 Entertainment Cruises Stand up Comedy, Salsa Floor Shows,Party Bands, Abba Tribute Show, Bollywood Shows & More.Perfect for Christmas Parties, Celebrations,Tourists & Couples. Mention Attractions Australia and receive 10% off RRP. Escape the crowds with a small and friendly group as we take you on a cruise to discover the spectacular beauty of Moreton Island and its Marine Park. Moreton Bay Marine Park is home to a variety of marine animals such as playful dolphins, huge turtles, shy dugongs and the majestic humpback whale passes through these waters from June to November. 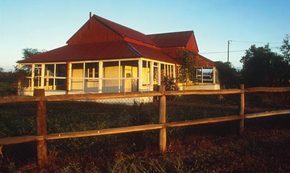 Darwin Parachute Club has seen a varied and colourful history, from the building of the club to the many people that have made the club their home, if only for a short while. The majority of the facilities have been designed, built and decked out by club members. The club started in the early 1960’s with no running water, no power, a tin roof and packing in the dirt down near the cross strip. After Cyclone Tracy some dongas become available and the club move to its current location, using some of the original tin to build an under cover packing area (our current bar). Facilities included the new packing area, a bunkhouse and a kitchen. 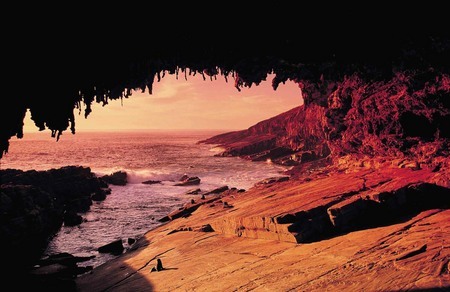 Discover the rugged beauty and convict history of Australia\'s island state of Tasmania. Sea kayaking is the perfect way to reach Tasmania\'s pristine rugged coastline, temperate rain forests, islands, beautiful white sand beaches, viewing wildlife, and retracing the convict history of Tasmania and Australia. 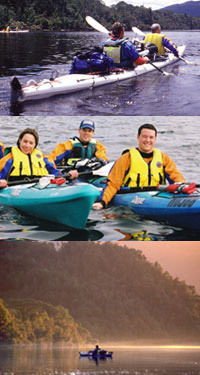 Blackaby\'s sea kayaking tours range from sea kayaking on the Hobart waterfront with fish and chips or pizza, paddling around the historic ruins of Port Arthur, B & B sea kayaking tours on the Tasman Peninsula, and 7-day Gordon River Wilderness Expeditions. 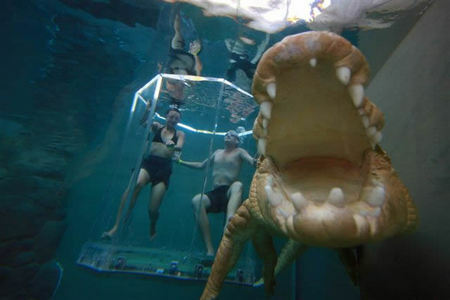 Plunge into the ‘Cage of Death’ and swim with some of Australia’s largest saltwater crocodiles! This latest attraction is perfect for those who dare to get up close and personal with these amazing prehistoric creatures. Don’t miss out on this one-of-a-kind experience! Your ‘Cage of Death’ experience also includes general admission to Crocosaurus Cove. After your croc encounter, feel free to explore the various attractions also on offer. Enjoy informative and educational talks, witness the daily barramundi feeding, go Fishing for Crocs or wander around the World of Crocs Museum and check out the World’s largest display of Australian reptiles. The Cage of Death is the only cage in the world that brings you face to face with some of the largest Saltwater Crocodiles in captivity! Located in the heart of Darwin city, Crocosaurus Cove features a daily program of activities, including our twice daily big croc feed; meet the reptiles encounter and “barra” feeding in our 200,000 litre freshwater aquarium. Daily activities including, meet the reptiles, feed the crocs, bite force, feed the reptiles and more! 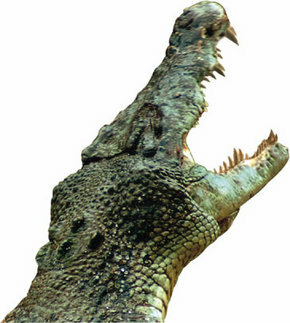 Open 7 days a week from 9am – 6pm, Crocosaurus Cove is Darwin’s latest must see attraction. Built in 1907-08, this building served as the town\'s gaol until 1938. 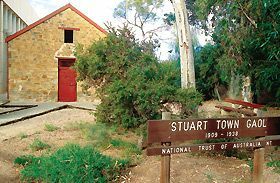 Stuart Town Gaol was the town\'s first official building. Although it is architecturally simple in style, its use of local materials if of great importance. The floor plan and fittings reflect the harsh discriminatory treatment of prisoners during the time of its use. The display focus is on the history of law and order in Central Australia and the conditions under which prisoners were kept until 1938. Set amongst the stunning MacDonnell Ranges and adjoining the Alice Springs Convention Centre, Lasseters offer a world of gaming and entertainmnet. The international standard casino, restaurants and range of bars make Lasseters the centre of entertainment in Alice Springs. As a destination, Central Australia evokes a strong image in the mind of many Australians, the image of the "real outback". Located in Adelaide's historic Railway Station building, Adelaide Casino is South Australia's only casino destination and the city's most exciting gaming and entertainment venue. Our philosophy is to provide a fun, contemporary environment with a variety of entertainment to ensure our customers have an exciting experience. The company is the city's 10th largest employer and injects around $30 million into the State each year through the employment of over 1000 staff, as well as paying approximately $19 million annually in State taxes. The SKYCITY Entertainment Group, based in Auckland, one of Australasia's leading gaming and entertainment companies, employing over 3,400 people in New Zealand and Australia. It is publicly listed on both the New Zealand and Australian stock exchanges. 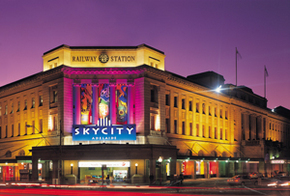 Besides Adelaide Casino, the SKYCITY group owns and operates casinos in Auckland, Darwin, Queenstown and Hamilton.